"You must connect your PC to your Dreamcast with a coders cable or a BBA and launch Dream Explorer's binary with DC Load+DC Tool"
Anybody know where i can find DC load and DC tool or know of another method to transfer files over the bba? I have seen this question asked a few times but have yet to see anybody give a good answer. One of the best uses of the BBA imo. So hopefully this will de-mystify the process. I have not tried transferring an animation file but this works great for all other files so I imagine lcd animation files will work just fine. Sorry if these instructions seem really dummied down I'm hoping they can be of use to others in the future. I have also included the tools for download at the bottom and provided the links to the rest. 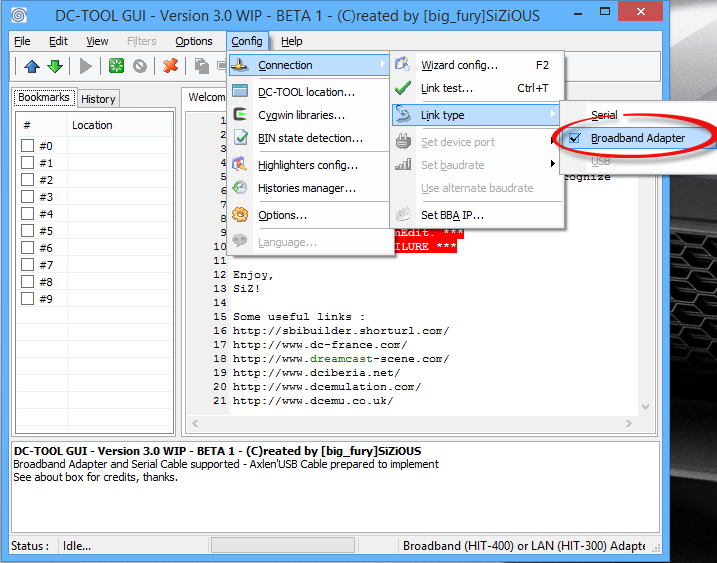 First install the DC-Tool GUI program on your PC. Now would also be a good time to extract the VMU Tool Binary to whatever folder you would like. The top number is the MAC address of your Dreamcast. It is a different number for each Dreamcast so be sure to remember it as you will need this number in a moment. 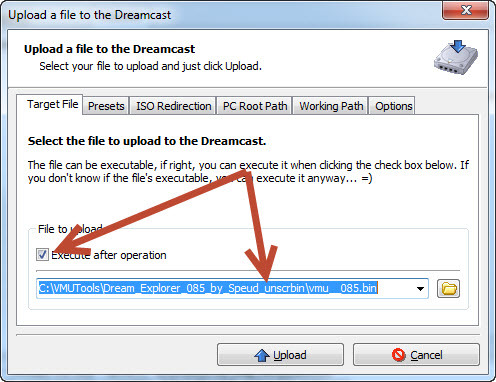 Since an IP of all 0’s is nothing we will need to assign the Dreamcast an IP address. 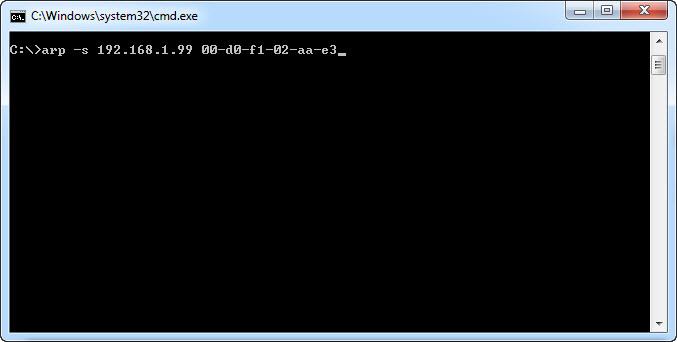 On your PC open up a command prompt as an Administrator. Go to Start>All Programs>Accessories and right click on Command Prompt and select ‘Run as administrator’. 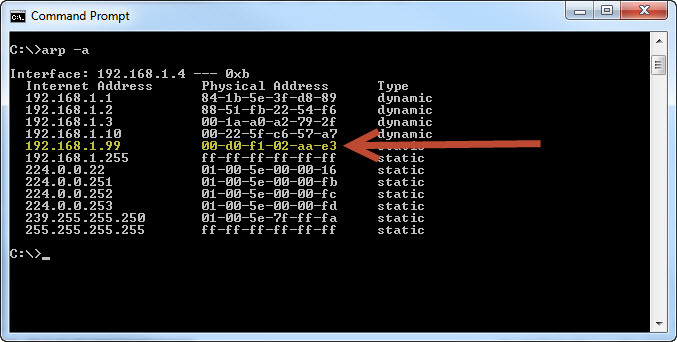 In the command prompt we will use the ARP command assign the Dreamcast an IP. You will need to pick an IP on the same subnet as your network to assign to the Dreamcast. For example, I typically use 192.168.1.99 as I know there are no other devices on my network with that IP and ’99 is the year the Dreamcast released. 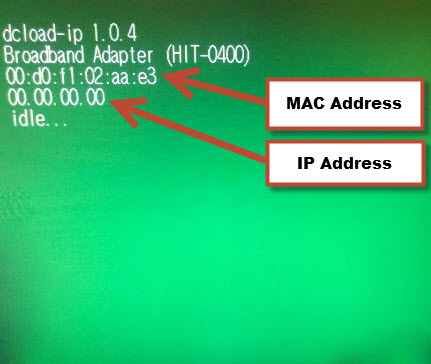 Once the you have run the command type in ‘arp –a’ and you should now see the newly assigned IP address along with the MAC Address. Next, open up the DC-Tool GUI on your PC. 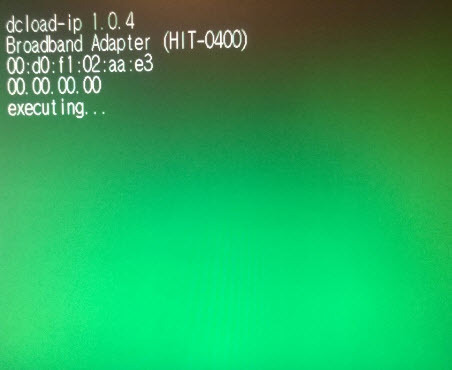 Set the IP address the same as the one you just assigned your Dreamcast. Under ‘Target File’ tab, make sure the checkbox ‘Execute after operation’ is checked, browse to the VMU Tool binary and select it. Once VMU tool loads it will ask to insert a CD or press cancel. Just press ‘B’ to cancel. 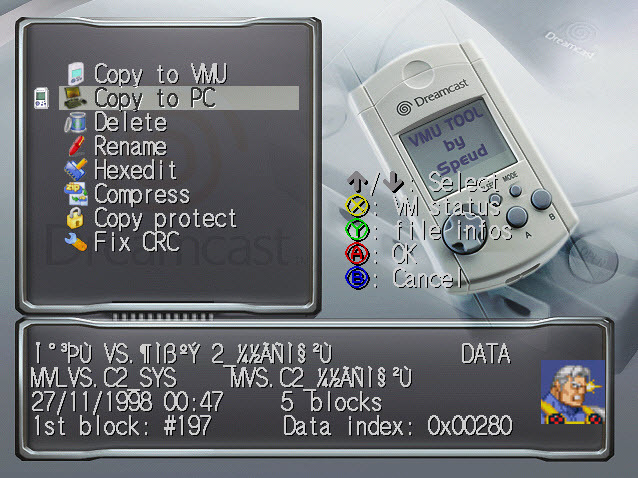 As long as the VMU Tool GUI files are on your PC it should load just fine. The program will function just the same as it does from the disk except you can now select ‘Open PC’ and browse the files directly from your PC! Thank you for the great tutorial killbot!!! This should be pinned in support! By far the best guide for dcload, wish i had this years ago. Dan, let me know if you get your animations working. Awesome, glad it worked for you. What program did you use to make your animation? Dreamcast Games you play Online: Phantasy Star Online, Toy Racer, POD Speedzone. I want to thank killbot80k for this guide. . Well done! If it wasn't for this guide I don’t think I could make this to work.